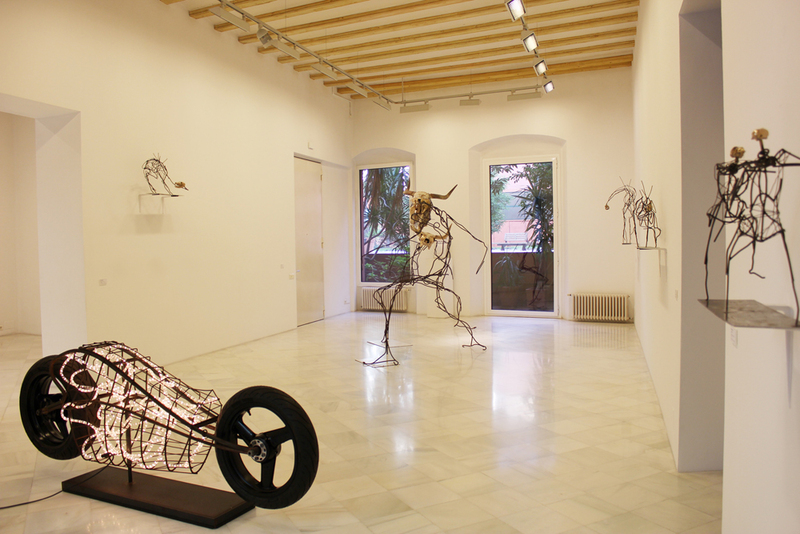 The Miguel Marcos Gallery presents from October 25 to November 30, 2017, the exhibition by Álvaro Soler-Arpa: Sculptures from the end of the world is an exhibition in which the artist comes into the art market, through his last apocalyptic creations. A collection of works made with wire-rod iron and animal skulls. A personal vision of the world of today and the intervention of man, expressed through three concepts: fear, ego and the supposed rationality of the human being. Since February 2016 Soler-Arpa presented: "Toxic Life. We are nature in toxic evolution”, his creations have ostensibly evolved, expressing themselves in a more dynamic and direct way. He continues to realize the handmade works, now only with wire-wire wires and rods of different thicknesses and animal skulls. Nothing else. With these materials and his feelings he creates beings living in an environment that he considers apocalyptic, a reflection of what is happening in the world. His works speak of fear, of the ego and of the supposed rationality of the human being. Sculptures from the end of the world is a possible scenario with apocalyptic tints that the artist places in the not too distant future if things do not change. A subjective and poetic vision of what consumer society is causing on the planet. He encompasses a long list of disorders such as the excessive exploitation of resources and widespread mistreatment of them, the exponential increase in population density, and artificially developed longevities such as Google and other mega corporations that devote much of their profits to investigating immortality at the scientific level. Álvaro Soler-Arpa. (Girona ,1974). Álvaro specialized in drawing at the Escola d'Arts and Oficis in Olot (Girona) and Illustration at the Llotja School in Barcelona. After a professional career of fifteen years in the field of advertising and film, drawing "shooting boards" for directors such as Woody Allen (Vicky Cristina Barcelona, ​​2008), Alejandro Gónzález Iñárrritu (Beautiful, 2010) or J.A. Bayona (The impossible 2011), begins to develop a work linked to the plastic arts focusing attention on sculptural and structural procedures. 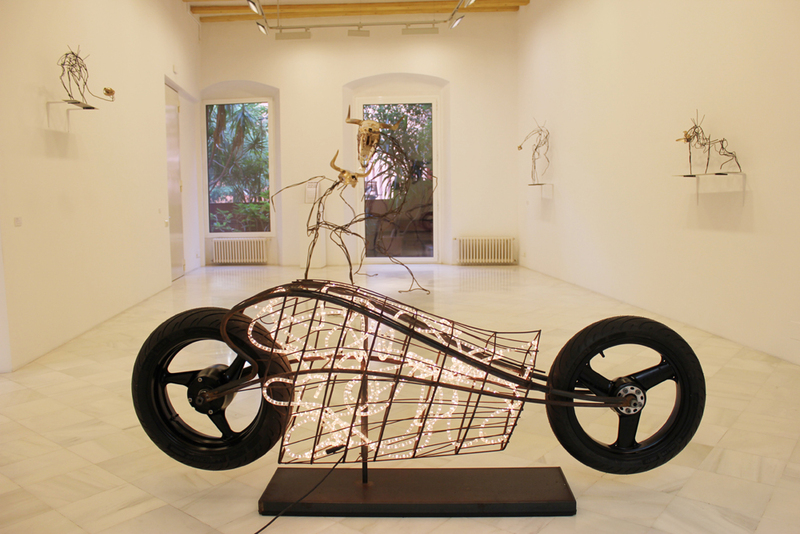 In 2005 he began to develop a work related to the plastic arts and to carry out sculptural works and installations. Since 2014 he has been the ambassador of the Plastic Pollution Coalition, one of the most influential environmental NGO’s in the world, according to CNN and a member of the Royal British Society of Sculptors. He has also exhibited in different cities of Spain and in the Bart Gallery in Cologne (Germany).